to supporting journalism, which last year saw Junkee Media and Nine receive a portion of funding from Google News Initiative. In a post to the Facebook blog, Facebook VP of global news partnerships Campbell Brown said the new initiative will focus on supporting local journalists with newsgathering and helping them build sustainable business models, through both Facebook and partnership works. The investment will roll out over three years and will contribute to organisations such as the Pulitzer Center and Report for America. It comes after years of criticism towards the platform for stripping revenue from news organisations. The investment will extent beyond the US, with Facebook telling AdNews that Australia will receive a share of the funding, as well as additional investment. “Facebook is increasing its investment in Australian news in 2019, including supporting diverse funding models and new products to help newsrooms connect with their audiences,” Facebook said. In 2018, Facebook launched subscriptions support, breaking news, Facebook Watch and “Today In” local news. “This year, we will build on these efforts with a focus on monetisation and funding models, news distribution and the local news ecosystem,” Facebook said. Facebook has been trying to repair its image following both data privacy concerns and the spread of “fake news” since the 2016 US election. Facebook also has a fact-checking unit it runs in partnership with news organisations across the globe. However, it recently came under fire by a Snopes journalist, who worked on the programme, who accused the social media giant of using them for PR. 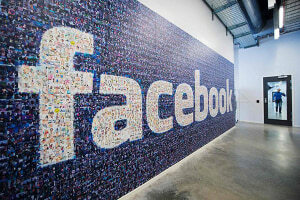 Facebook has announced it will be investing US$300 million to support journalism, with a focus on boosting local news. The figure matches its rival Google's commitment to supporting journalism, which last year saw Junkee Media and Nine receive a portion of funding from Google News Initiative.